Thomas Thwaites calls himself a designer – of sorts. “I ended up in the Alps, on four legs, at a goat farm, with a prosthetic rumen strapped to my chest, eating grass, and becoming a goat,” Thwaites notes. 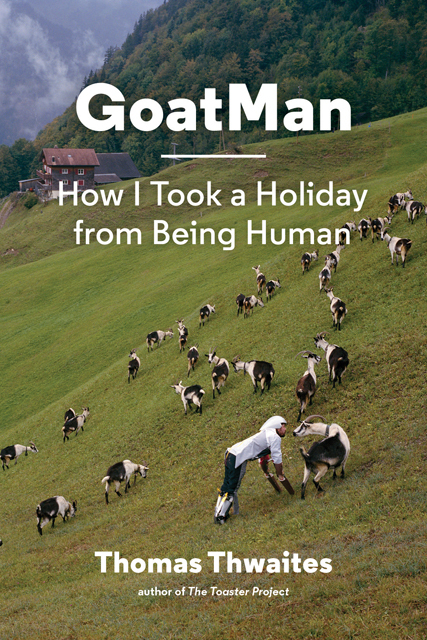 His second book, GoatMan: How I Took a Holiday from Being Human, has just been released. Readers will be taken through the engineering paces required to help a human to walk on all fours. Thwaites also speaks with animal experts and even a shaman in the course of his research. Or, perhaps this is just the book you need for some summer holiday escapism from the comfort of your dock. GoatMan by Thomas Thwaites from Princeton Architectural Press on Vimeo. One Comment on "Man takes holiday from being human, joins herd of goats & becomes GoatMan"